The number of Indigenous children removed from their families has risen rapidly since former prime minister Kevin Rudd’s national apology to the Stolen Generations in 2008. Ten years after he issued a National Apology* to the Stolen Generations and those forcibly removed from their families and communities, former Prime Minister Kevin Rudd speaks to Living Black’s host, Karla Grant. It was Rudd’s experiences from his childhood and the inspiration of Gough Whitlam that led him to attend young Labor meetings from the age of 15 years old and then to join the Labor party some years later. He became Australia’s 26th head of government on 3 December 2007. The National Apology was one of the first acts in Parliament Rudd accomplished when he was appointed Prime Minister. On 13 February 2008, he led the Apology for the “profound grief, suffering and loss” caused by passed policies. “We couldn’t get to the business of closing the gap between Indigenous and non-Indigenous Australians until we had the guts from wider Australia to say sorry for the appalling treatment,” Rudd tells Grant. Rudd addresses crucial issues facing Indigenous people in the NITV interview, including the Turnbull Government’s rejection of the Referendum Council’s proposal to have an Indigenous voice in Parliament. 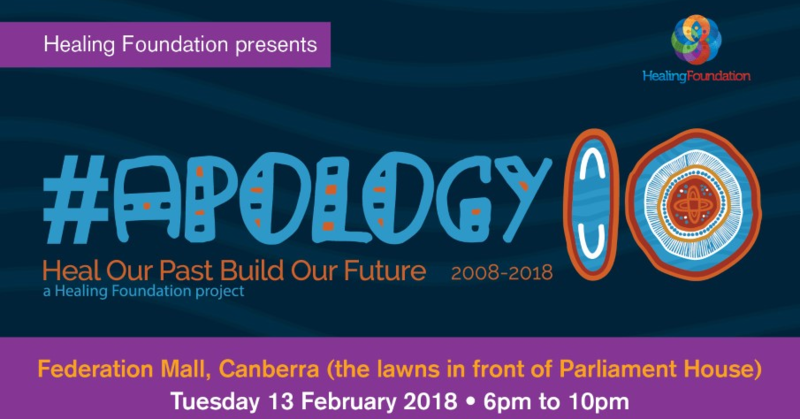 The National Apology made in Federal Parliament on 13 February 2008 was a landmark event, as the first formal, national recognition of past atrocities and a first step towards restitution. It was a key recommendation from the Bringing Them Home report, which had been tabled in Parliament a decade earlier. It was a significant event for members of the Stolen Generations and their families, the wider Aboriginal and Torres Strait Islander community and other Australians. Many Stolen Generations members felt that their pain and suffering was acknowledged and that the nation understood the need to right the wrongs of the past. But the Apology speech was a starting point – not a solution. The Healing Foundation was formed following community consultation after the Apology, to address the ongoing healing needs of the Stolen Generations and their descendants and communities. It has made some critical progress but we need to scale-up the healing response and commit to strategies that have been proven to reduce the impact of unresolved trauma. There’s still a lot of work to be done. A lack of action in the past has compounded the trauma experienced by the Stolen Generations and also the impact of Intergenerational Trauma. It’s also created bigger problems to fix, at a greater expense to the taxpayer. Most of the social and health problems we see in Aboriginal and Torres Strait Islander communities today can be linked to Intergenerational Trauma. This includes family violence, suicide and high rates of incarceration and out-of-home child protection. The call for a National Intergenerational Trauma Strategy is linked to the Healing Foundation’s Action Plan for Healing which received federal funding this year. As well as focusing on the work that still needs to be done, the 10th anniversary is a time to keep building awareness about the Stolen Generations period. 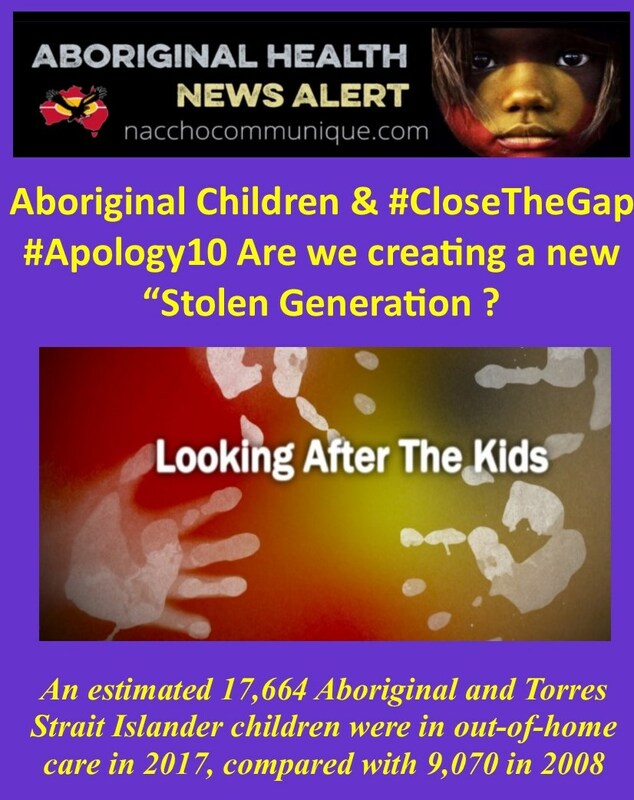 We don’t know how many children were stolen but the Bringing Them Home report estimated at least 1 in 10, and maybe as high as 1 in 3, Aboriginal children were forcibly removed from their families, between the early 1900s and right up until the 1970’s. That means tens of thousands of children were stolen, as part of deliberate assimilation policies adopted by all Australian governments. Every Aboriginal and Torres Strait Islander person has been affected by the Stolen Generations in some way. If people don’t have the opportunity to heal from trauma it’s likely that their experiences and negative behaviours will start to impact on others, particularly children who are susceptible to significant developmental damage when they experience trauma at a young age. This creates a cycle of trauma, where the impact is passed from one generation to the next, creating a snowball effect of cumulative damage. In the case of the Stolen Generations, parents might also pass on the impacts of institutionalisation finding it difficult to know how to nurture their own children because they were denied the opportunity to be nurtured themselves. Research has shown that people are not just effected by the traumatic events that they directly experience. Witnessing or hearing about trauma for their family or community also has a direct impact. We partner with communities to address ongoing trauma caused by the disruption and mistreatment of Aboriginal and Torres Strait Islander people over the past 200 years. This includes actions like the forced removal of tens of thousands of children from their families which created the Stolen Generations. We fund and support local healing programs that have been designed with local people and work at the individual, family and community level. These programs combine Aboriginal and Torres Strait Islander culture and knowledge with best practice in western trauma theory. The Healing Foundation is helping to create a different future by generating new research and resources to establish an evidence-base for healing and best-practice strategies, building capacity in Aboriginal and Torres Strait Islander communities and strengthening the healing workforce through training support. “I think it’s a national disaster around the nation — and I think every state is a national disaster — if you look at the level of over-representation of our children in out-of-home care,” he said. “Yes, people took their eyes off it. Government, and I think some parts of the community, should have done more,” Mr Jackomos said. Mr Jackomos, a Yorta Yorta and Gunditjmara man, also said he was disappointed by the Prime Minister’s rejection of the Uluru Statement last year. 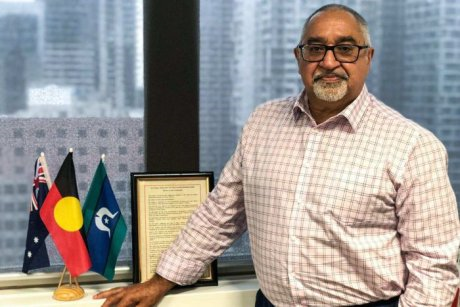 The statement called for a constitutionally enshrined “voice to parliament”, which could provide advice on issues and legislation affecting Aboriginal and Torres Strait Islander people, including on child-protection concerns. “Our children will go home quicker, either to immediate family or kin, when they’re in our care,” Mr Jackomos said. “I’m proud that some kids are going home earlier, I’d love to see all kids [in out-of-home care] go home earlier. “I’m glad now that we do have a commitment to do it right, but we have a long way to go.” On Dja Dja Warrung country, in central Victoria, the Bendigo and District Aboriginal Co-operative is trialling the program with about a dozen families, chief executive Raylene Harradine said. SNAICC acknowledges the impact that colonisation continues to have on Aboriginal and Torres Strait Islander children today. Increasing understanding of the lasting impacts of colonisation amongst all Australians is key to our reconciliation as a nation. If we, as a nation, are to recognise 26 January as the day that the colonisation of Australia began, then I think it is our responsibility to also recognise the lasting impacts that that colonisation has had. Access to quality early years education is proven to have the greatest impact on a child’s lifelong education and employment outcomes, however, due to many barriers, Aboriginal and Torres Strait Islander children are only half as likely to access early education as non-Indigenous children. Nationally, Aboriginal and Torres Strait Islander children are 9.8 times more likely to be living in out-of-home care than non-Indigenous children. The atrocities that followed that date – massacres, dispossession, fracturing of cultural knowledge – continue to have a profound impact today, including continued disempowerment and disadvantage of our children and families. “Many Aboriginal and Torres Strait Islander people recognise 26 January as a day of mourning, shared with community, and that is as much about the present and future as it is about the past. “Our goal must be reconciliation, and that cannot be achieved if we do not acknowledge the true history of our country, and furthermore the reluctance to face that truth. We will not see outcomes improve until we witness that change of attitude on a greater scale. Please be advised that I am on maternity leave as of COB Friday 9th February 2018. Therefore, please change contact person from PLAHS to receive these subscription emails to Kelly.Carbine@plahs.org.au. For further information, please contact Kelly at PLAHS on (08) 86830162.